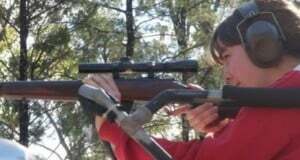 Reclassification of your Guns is Looming! We understand that state and territory Police Ministers are being canvassed right now for their support to reclassify certain firearms from Category A to Cat B and Cat D. If your firearm is reclassified to Cat D you will be forced to surrender it and there will be no compensation.We believe this final request for support from the Ministers is as a result of the volume of mail etc various MPs’ offices have been receiving about this assault on your rights as law abiding firearms owners and users. They are getting nervous – we are having an effect. Are your guns at risk of being reclassified? We have just been advised that Federal Justice Minister, Michael Keenan, has advised the National Firearms Weapons and Policy Working Group (NFWPWG) to recommend to state and territory Police Ministers that all lever action shotguns with a magazine capacity greater than 5 rounds, be re-classified to Cat D.There has been much talk about the Adler shotgun being “new technology” and as such very dangerous, requiring a classification which severely restricts its availability to Australian licenced shooters, be they sporting or occupational. Of course, nothing could be further from the truth. After months of unanswered letters etc from the QLD firearms community, QLD Police Minister Jo-Ann Miller met today with Robbie Katter MP (KAP Member for Mt Isa) and Shane Knuth MP (KAP Member for Dalrymple), who were kind enough to invite representatives from the firearms community along to that meeting. I especially acknowledge Mr Katter for the work he put into arranging the meeting.As some of you may be aware, since Labor came to power, the Ministerial Firearms Advisory Panel has not met or received any advice (until recently) about how the new Minister wanted to engage. 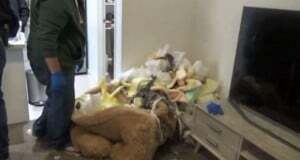 Police raided a unit in Turella, in Sydney's south, on Thursday and discovered two Glock pistols hidden inside a large teddy bear.The alleged owner, 23 year-old Imad Warwar, was charged with eight firearm offences including two counts of unauthorised possession of a pistol and two counts of not keeping firearms safe.Detectives from the Firearms Squad raided Mr Warwar's unit at 7am, also seizing cash and paperwork. Footage shows an officer sizing up the large, fluffy brown bear in the corner, conspicuously seated beside a television in the sparse room. 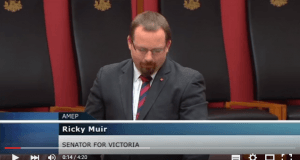 Garry Breitkreutz MP: Gun Registries are an enormous waste of money! On Thursday the 13th of August about 100 responsible firearm owners gathered to hear prominent gun law researcher, Dr Samara McPhedran and Canadian MP, Garry Breitkreutz discuss their views on firearm reform, gun registries, gun violence, public safety and the political wrangling that surrounds these issues. Garry Breitkreutz led the campaign to have the Canadian long-arms registry dismantled. 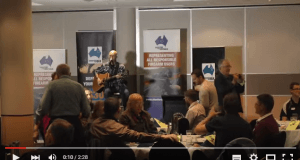 On the 13th of August 2015, Shooters Union Queensland hosted a dinner with Guest Speakers, Dr Samara McPhedran and Canadian MP Garry Breitkreutz and Entertainer Steve Lee. This is the wrap up video of the event - enjoy. 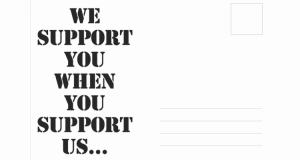 What are the FWPWG & the NFA… and what are they up to! Since 2005, the Firearms and Weapons Policy Working Group (FWPWG) – consisting of bureaucrats from government departments and police services in all jurisdictions – has been pushing for more restrictions on legal firearms ownership in Australia. Particular attention has been given to shifting pump action rifles and lever action firearms into Categories C or D, and introducing far more severe limits on magazine capacity, as well as making it easier for bureaucrats to prohibit firearms they simply do not like the appearance of. The Liberal Government considers Lever Action Shotguns a SERIOUS PROBLEM!There is absolutely no evidence to support this but that is a direct quote from the Attorney General of Australia Senator George Brandis Tuesday evening in Parliament in response to a question from Senator Ricky Muir.So there it is.Just as we have been warning you, this isn’t just about lever action shotguns, they want to take ALL lever action firearms. 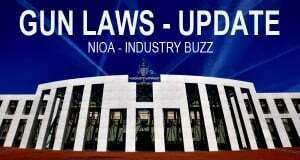 Australian Gun Law update as of the 17th of August 2015. Featuring contact details of Ministers and Politicians who support the rights of law-abiding gun owners and shooters. 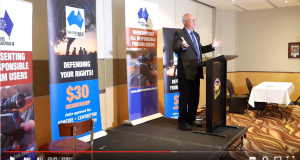 Shooting Industry Foundation of Australia Joins the Fight! 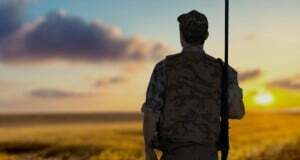 The Shooting industry foundation of Australia has voiced their disapproval of the Government's latest gun bans including lever action shotguns with a magazine capacity of more than 5 rounds. Read more here and discover how to send your opinion to your local MPs.